This point should have been driven home to all hunters by now, but there still seems to be an element of the hunting community that just will not let go of this one. Culling bucks will not efficiently improve genetics of a wild deer herd! 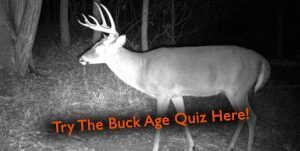 Maybe it’s the incessant justification of young buck harvests by “hunting TV celebrities”, false beliefs passed down through generations of hunters, or the ideology of white-tailed deer as glorified cattle. Regardless of why this counterproductive practice is so persistent, it is important for us as hunters to be educated on the quarry we seek, especially if our goal is to improve herd conditions through our management decisions. Here are 6 easy deer biology facts that explain why culling bucks to improve genetics is ineffective. If you currently shoot “cull bucks” to remove them from the breeding population please review these deer biology facts with an open mind. If you already believe that culling is ineffective, here are 6 facts you can use to educate others about deer biology. When studying genetics, one of the first key foundational principles you learn is that there is a 50/50 contribution of genetics to offspring from both parents. So, a future buck fawn’s DNA will be comprised of only 50% of his sire’s DNA, and there is evidence that suggests that the majority of DNA that affects antler growth is inherited from the mother! There is no way for us to assess the quality of a doe’s DNA for antler growth, so we cannot cull does and consequently cannot influence half of the potential DNA that fawns inherit. Many hunters do not realize that most buck fawns born on a property will leave before their first breeding season. Most research has shown that around 75% of buck fawns leave the area where they were born either the spring after they are born or the fall before their first breeding season. This helps to reduce inbreeding within a population and encourages genetic diversity among populations, which is important for population viability! So, even if you could produce buck fawns with guaranteed primo antler potential, ¾ of those bucks would leave and you would instead recruit new bucks from other populations. Every individual buck has a set of genes that contribute to his antler genotype (the DNA code for the antlers he can produce), but the antlers we see are a product of his phenotype (affected by a combination of his DNA genotype and his environment). Consequently, a buck whose antler genotype could produce a 180” rack may only score 110” if conditions do not allow for ideal gene expression. In this case the 180” rack is his genotype and the 110” rack is his phenotype. The phenotype is all we have to judge his antler potential off of. This inhibits us from ever being able to classify a buck as truly having “inferior” antler genetics, all we know is that under the current conditions the buck is not large antlered. Every day I see hunters culling bucks with lopsided racks because they supposedly have “bad genes”. A classic example is a buck with an injured rear leg, in which case the opposite antler will be negatively affected in growth potential. If deer have injured front legs the antler affect can be exhibited in either side of his rack. Leg injuries are often easily noticed and small or lopsided antlers can easily be attributed to them. However, any kind of body injury can affect the potential antler growth of a buck and make him appear to hunters as having “inferior genetics”. Often, body injuries or past illnesses are not visible to us as hunters and while a buck may have small antlers this year, he can easily rebound next year. This is just another reason why we can never diagnose a buck as having inferior antler genetics but can only acknowledge and appreciate those with exceptionally large antlers. If you were to try to cull buck genetics, you would have to wait until the buck is at least 2 or 3 years old before you would have any idea of future antler potential, because yearling buck antler size is greatly affected by the mother’s health, birth timing, and nutrition availability while a fawn. Even if you removed a small antlered buck at the beginning of bow season when he was 2 years old, he would have already had an entire fall to breed and spread his genetic lineage. Regardless of whether you had unlimited buck tags, you would never kill every single buck that you had deemed genetically inferior. Realistically you will only have opportunities to harvest a handful of these bucks and so the rest of them will live to breed another season and spread their genetic lineage. 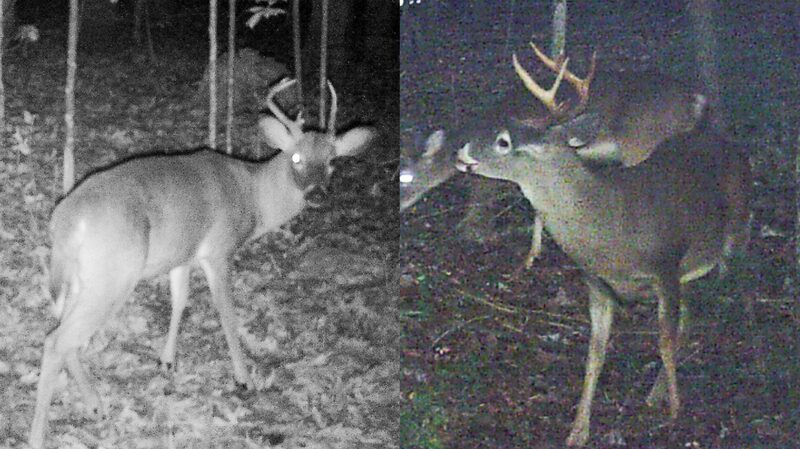 (Above) As a 2.5 year old (left) this buck had only a spike on his left side. The next year both sides of his rack appeared normal. Notice his left eye doesn’t glow with the flash! I used this characteristic to track this buck year to year and it is likely a result of whatever injured his left antler the first year. I hope that you have found these points helpful and will give them serious thought before you kill another young “inferior buck”. Hunters have been culling bucks and trying to improve average antler size for decades, even as far back as when there were fewer deer in the country, yet we still have small antlered bucks in our deer populations. Culling bucks simply cannot improve genetics in a wild free-range deer population! If your goal is to kill mature bucks I encourage you to let all young bucks walk. If you have no interest in killing these bucks, allow a young hunter to harvest them- it may be an experience that gets them hooked on the sport that we all love most! Is it possible the last buck’s eye, let’s call him Spike, doesn’t glow because he is now blind in that eye? I’ve never seen an animal who doesn’t give off that eye reflection in one eye before. Very likely, It was likely punctured and has clouded over due to injury. If his eye does still work it is likely too obstructed with scar tissue now for him to effectively see out of it.